Such a direct and straight question isn’t it? In the changing times, things that bother us are many more than things that make us happy. If you just sit and relax, your mind quickly revolves around stuff which you did not like for that day or for that week. In fact, there would be thousand other good things that must have happened to you in due course but our mind concentrates on the stuff which we did not like. When something is really bothering us we are seldom at peace. The other day I met one of my friend in the market. She is a great girl having a good sense of humour and seeing her at the market was a pleasant coincidence. We both were very glad but she quickly talked to me about something which was bothering her all these days. I lend her a patient ear but I really felt her need to be talking to someone even if that someone is not so close. whatever was bothering her was stopping her from looking beyond that particular aspect. I do not blame her but we are wired to think it that way. “Ask yourself, will this issue bother me 5 years down the line?” if the answer is “No” then it is not worth thinking about. One of the accounts manager at a renowned bank is an acquaintance, he has been in the business since last couple of decades. He has a happy family and overall great career just as one would want in the early forties. I met him some days ago and he started talking to me about how the bank leadership is changing and the challenges he is facing at his workplace, he was restless, wanted to go back to the earlier scenario which existed at his workplace but it was in vain. Most often we do not want to step out of our comfort zone and resist change which might open a new door of opportunity. Discussing the status quo with someone and working a way out of it could be a great workaround. Recently I saw a video on facebook where a man has a pen and paper. He has an ant on the paper. As the ant walks from one end to other, the man draws a line in front of the ant. The ant thinks that it is an obstruction and finds another path. Actually, it can very well cross the line but it does not. That is how our mind is. We confine it as per our convenience and think it as an obstacle which is non-existant. Letting something bother you is okay, for sometime, we all are humans but letting it take a toll on your thought process is not worth it. 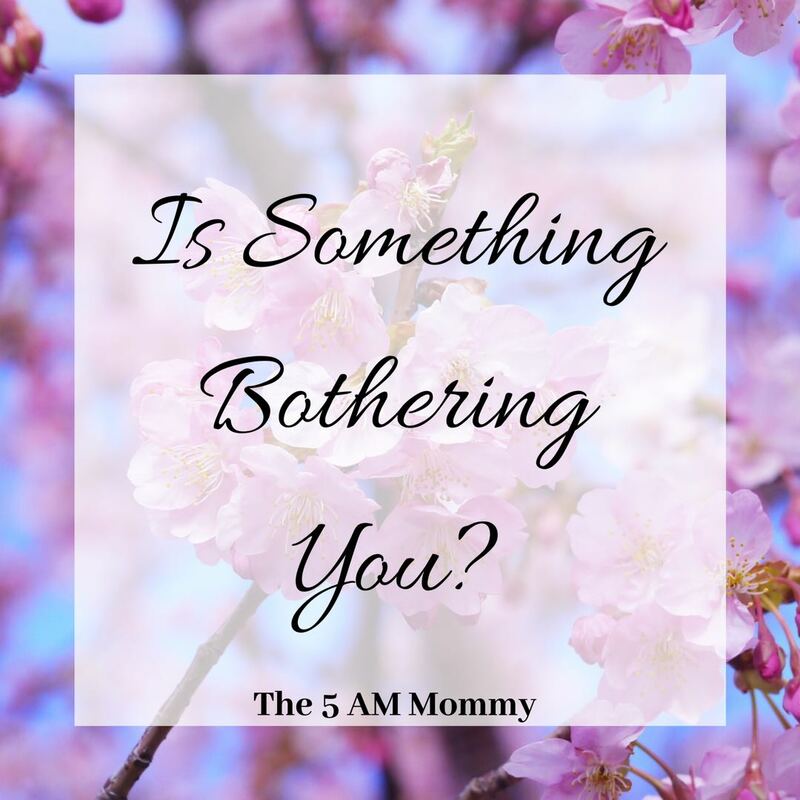 Is something bothering you? Pour your questions in the comment. Thank you so much @sindhu.. Means a lot.